The Secret to an Endless Summer? Sangria in a Bottle! While on honeymoon in Italy three years ago, I made a startling discovery: the Italians take their cocktails seriously. Very seriously. Seriously enough to bottle them up and sell them in a format perfect for versatile enjoyment. We were at the train station in Rome awaiting an outbound train to Florence when we stumbled across Campari Orange Passion, a ready-to-serve cocktail aperitif combining Campari, orange juice and brown sugar inside a glass bottle. Practically packaged. Taste on point. Perfection just a lid-snap away. Well, it seems the Spaniards are equally as serious in the cocktail department as their neighbors to the east, because guess what? The Spanish national drink – sangria, naturally – can be had in a similar, cocktail-ready presentation. Sangria Lolea is the brainchild of a group of friends who wanted to channel excellent sangria crafted from good wine and natural ingredients. But any mixologist knows that the traditional Spanish cocktail requires dousing fruit in wine overnight, which implies a lengthy, premeditated process. What about sangria on the fly? 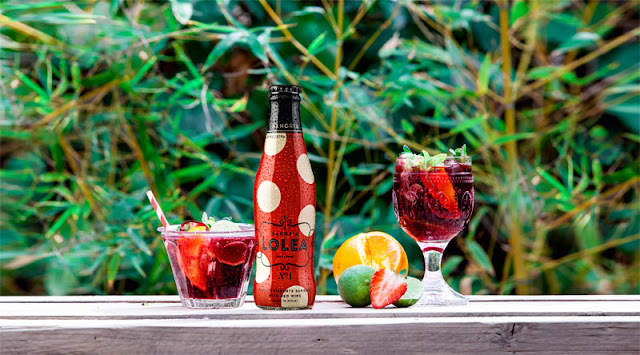 Be it a spontaneous social gathering, an unforeseen aperitif before dinner, or even an ordinary lunch in need of a frizzante touch, Sangria Lolea fills a vital niche. And it’s not simply the contents that are so refreshing and effervescent. The packaging is a lesson in the art of aesthetics, drawing on bold colors like red and black tempered with gold, off white, and pink in the context of giant polka dots. 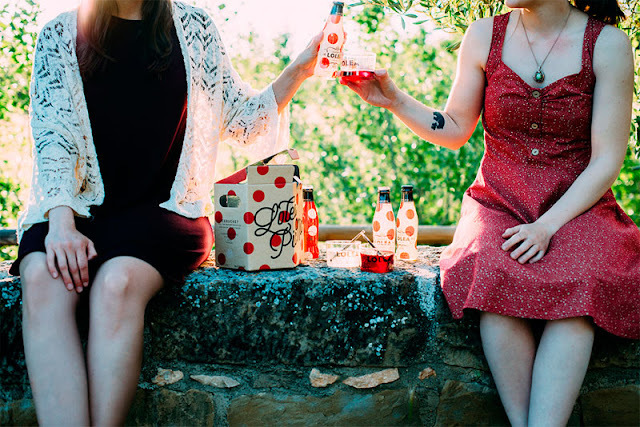 I’m telling you, these bottles you’ll easily elect to hang onto, whether as a flower vase, a candle stand, or a felicitous reminder of how essential sangria is in your life and that you should probably replenish your stock of it. Lolea features five distinctive artisanal cocktails in its sangria lineup, uniformly unpasteurized and fizzy and best served with plenty of ice. Lolea N⁰1 is a cherry-hued sangria tapping Tempranillo and Cabernet Sauvignon red wines muddled with fresh orange and lemon juices and a kiss of cinnamon. Lolea N⁰2 incorporates Macabeo and Chardonnay white wines with fresh orange and lemon juices and a touch of vanilla. Lolea N⁰3 is dubbed Brut thanks to the enhancement of sparkling white wine with elderberry flowers and wild apples to achieve fruity and dry overtones. Sophistication in a sip! Lolea N⁰4 appeals to students of the organic school of thought. 100% spicy and fruity Grenache organic grapes are swirled with natural lemon juice and a hint of cardamom to appease the most demanding of palates. Lolea N⁰5 is the newest in the gamut, boasting sparkling rosé aromatized with hibiscus and a spicy ginger aftertaste. Sassy! Besides the standard 750-mL volume, Sangria Lolea can be had in mini format for portability or Magnum size for large get-togethers. Accessories, too, abound: ice buckets, charming cardboard bags with cotton straps, jar coolers with gel jackets, wooden trays, mason jars, and tube kits. I’ve acquired the mason jar and N⁰1 in a nifty cardboard briefcase, but I’m already tempted to expand my collection. And thanks to Wesley’s Wholesale, the exclusive seller of Sangria Lolea in Lebanon, my intentions will quickly be realized. Though I wouldn’t really mind a trip to Spain. Between tapas, paella, and sangria, my itinerary is pretty much complete. Find Sangria Lolea at Wesley’s Wholesale Orange Label located on the upper floor of the Hazmieh outlet. 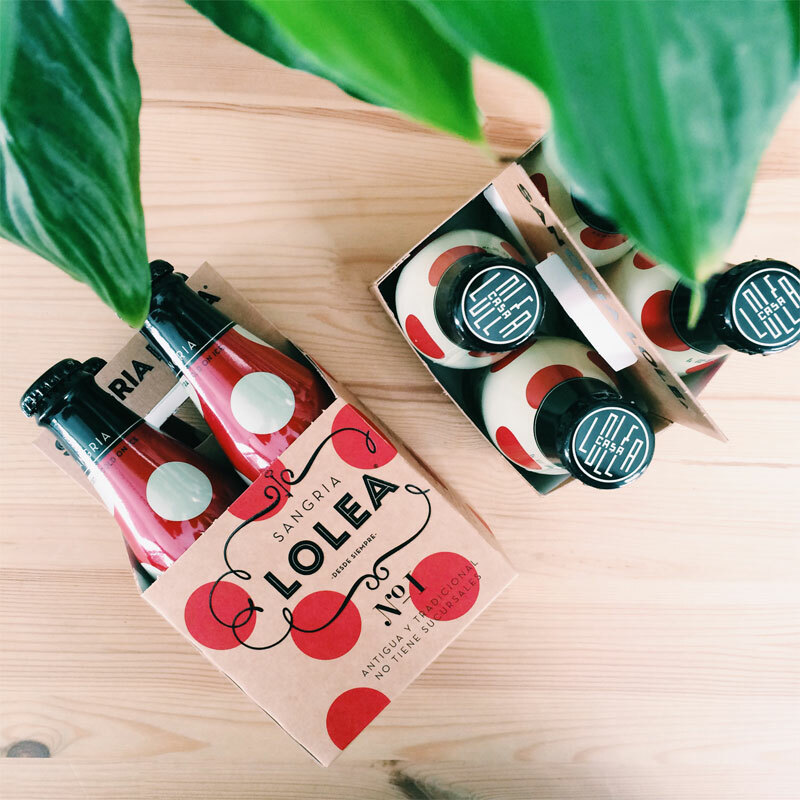 Presently available are 750-mL bottles of all five Lolea cocktails, minis of N⁰1 & N⁰2, ice bucket packs, and mason jar gift sets. Other kits and sets are soon forthcoming. Beirutista is Brand Ambassador at Wesley's Wholesale. What exactly does that mean? Well, if you liked this post, you can look forward to similar ones every month or so. I'll be blogging about a variety of exciting new projects Wesley's has underway, in addition to sneak peeks and product leaks! Expect cool new product giveaways from time to time, and if you're a real Wesley's obsessive like I am, I'll gladly hook you up with 10% off your next visit. Just shoot me a message at any one of my contact coordinates here. Select photos have been duplicated with permission from sangrialolea.com.